CAPEZIO & BUNHEADS A11503W LACE RAGLAN SLEEVE LEOTARD - Attitudes Dancewear Etc. 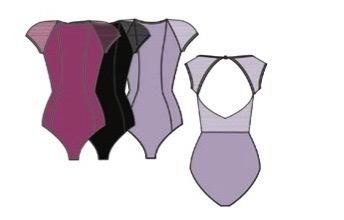 ELEGANCE AND EDGE ARE EMBODIED IN THIS LEOTARD. FEATURES A HIGH NECKLINE, CAP SLEEVES AND A BOLD, OPEN BACK DECORATED WITH LACE. FULLY LINED FRONT AND BACK WITH A MODERATE LEG LINE.